How Does It Save $$$? 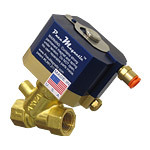 What Solenoid Valves Does It Work With? To order check the desired items and click "Add To Cart". Rollover valve model number to view image. NOTE: WE ONLY SELL THE PNEUMATIC ACTUATOR - VALVE IS NOT INCLUDED! Copyright © 2009 PneuMagnetic LLC. All rights reserved. PneuMagnetic is a trademark of PneuMagnetic LLC; P.O. Box 701, Quakertown, PA 18951. U.S. Patent No. 6,991,211. PneuMagnetic manufactures pneumatic replacements for OEM coils and is not affiliated with, nor endorsed, or authorized by any valve manufacturer. ASCO® is a registered trademark of ASCO® Valve, Inc. - All other brand names, product names or trademarks belong to their respective holders.